Wirehouse Wells Fargo isn’t just facing blowback from clients and regulators over the scandals that have been plaguing the firm now for two years. Two brokers who departed Wells Fargo Advisors are now suing the firm alleging the scandals substantially damaged their business, according to news reports. The company has been in the headlines continuously since the 2016 revelations that thousands of its retail bank employees opened millions of accounts without client authorization. The SEC and the Justice Department are also investigating sales practices in Wells Fargo’s wealth management business, which has lost more than 1,000 representatives since 2016. Now, John Perry and Robin Johnson, who jumped ship from Wells Fargo to RBC Capital Markets at the beginning of the month, have filed a Finra arbitration complaint alleging the scandals have made it impossible for Wells Fargo’s reps "to keep existing customers, bring in new customers, and secure customer referrals from influential members of the public,” InvestmentNews writes, citing the complaint. Perry generated close to $1 million in fees and commissions while he had been at Morgan Stanley from 2009 to 2015, but that’s “nosedived” by about a half at Wells Fargo, the complaint alleges, according to the publication. 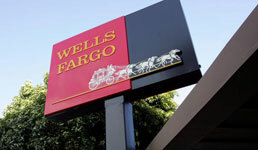 "Wells Fargo’s reputation is toxic right now, and that has made it extraordinarily difficult for financial advisers at the firm to meet production goals, pay off promissory notes and do what they were hired to do: bring in clients and create revenue," Andrew Stoltmann, who’s representing advisors in a Finra arbitration claim, tells InvestmentNews. Wells Fargo plans to file a counterclaim arbitration suit against Perry and Johnson, according to InvestmentNews. A spokeswoman for the company tells the publication the pair failed to fully repay on promissory notes extended to them. "This claim is an attempt to avoid repaying their obligations,” the spokeswoman tells InvestmentNews in an email. “We still intend to collect." But Stoltmann tells the publication the promissory notes are not the issue and that Well Fargo’s plan to counterclaim “is a classic case of blaming the victim."